Divorce rates figures were released over the Christmas period by the Office for National Statistics, and these numbers might just surprise many people. Overall, it would seem as if national divorce rates have been on the decrease, and while this might be great news for many families, a closer look at the numbers have shed some light on some very interesting developments. 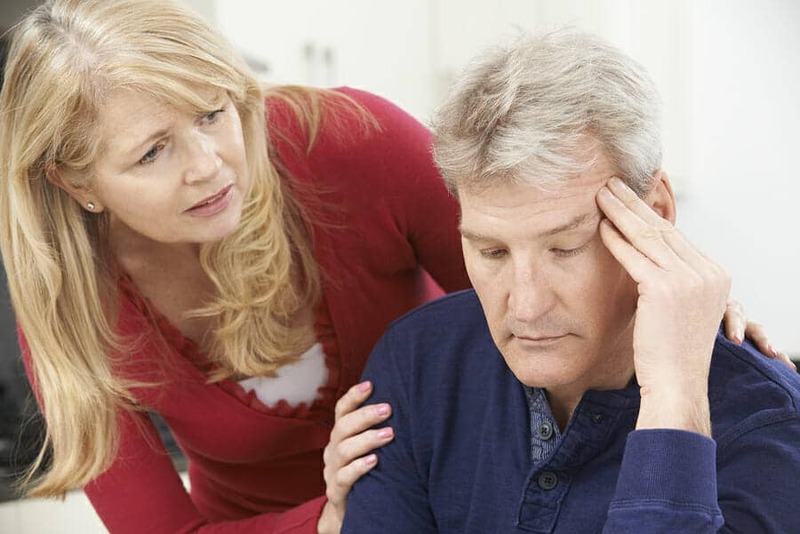 It seems that the ONS statistics are highlighting an increase in divorce rates in the over 50s age group, and the professionals have some interesting insights as to why this might be the case. Many over 50s are now parting ways because the children have left the house, and this means they no longer have that particular reason to stay together. This could indicate that younger generations could be waiting for children to leave the nest before splitting up. The research was done using statistics from 2003 and 2013, and after these two years were compared, it became clear that there was a disparity between divorce rates within the younger and older generations. The 40 – 44 age group was of particular interest because it is actually the group with the highest divorce rates of all. According to the researchers, as individuals age, the divorce rates increase. It is not only parenting roles that play a part in people staying together, and therefore have an effect on divorce rates once these primary roles come to an end – it is also the fact that people are living longer than ever. In the past, people might have seen little point in going through a divorce later in middle age, but now people are aware that they have decades left of high quality lives to live, and they do not want to spend this time being unhappy. What is interesting is that the divorce rates in the younger generations is now comparable to the rates of the 1970s. According to the study, the average age of divorce is now 45 for men and 42 for women, with the average marriage lasting 11.7 years. Of course, these numbers might be interesting, but they do not even come close to capturing the complexity, difficulties and often misery that stems from something like divorce. Due to the difficulties experienced by those facing divorce, most legal experts will advice that individuals seek out assistance when they begin experiencing difficulties in their marriage, in the hopes that this will prevent them from having to go through something as traumatic as divorce. I know many who are on the cusp of divorce, staying together only for the children. I have a family member in this situation. They are waiting a few more years, until their now adult children are finished with school and/or settled into jobs that will afford them to live independently, before commencing their divorce. In some cases, I think the couples could stay together, if they work on their relationships, and some will. I have witnessed a major transformation in one couple’s marriage over the past two years. She was determined that she would leave him, and was working toward that goal. Suddenly, their son’s girlfriend became pregnant, and that grandchild has enriched the family and brought my friend and her husband closer. They now have two grandchildren, and the husband has had a serious injury. I think they will make it, because these three occurrences have worked to help them forge a tighter bond. This kind of thing makes me so sad to think about. 🙁 When I got married, people were a lot more inclined to think in the terms that it’s a forever thing… if there are problems, you work them out, you don’t run to the divorce lawyer at the first sign of trouble. But it’s like there’s an argument about money or child rearing and immediately there’s no desire to work it out, just “let’s move on to someone else.” It’s very sad to me. Can I speak with authority on this? Maybe. 😀 Because in June, we’ll be celebrating 37 years… so I do know a little about working things out even when it’s tough going. I have seen this happening to my friends shortly after their last child leaves the house. I’m curious if the stats are the same for couples who never had children. Diane Lane hit the nail on the head with her comment. Several of my friends did indeed choose to stay together just to raise a child or children. I think its a thing you sacrifice for. I got married young. Although many people commented that it would not work, To this day we are still together. Marriage is about two people. It is about sacrificing one important thing for another. For a loved one. Many people seem to have forgotten this and either just want money, or take the first ticket out when a problem shows itself. Getting older, does mean that they may have gotten tired of some things. I have certainly noticed more and more ladies being independent after splitting from there spouses of many years, after child rearing. Its a sad thing to me. Since nothing is more precious than having a counter part that keeps you upright when you need it, and to keep THEM upright when they need it. I find it very sad that people have this attitude – not least because it happened in my own family when I was 22. I thought everything was fine. Fair enough, my parents were never the type to outwardly display affection, but there were no fights either, and because that’s all I knew, I genuinely thought that everything was okay. Then one day my mum told me, very matter-of-factly, that they were splitting up, that one of them was moving out right away, and that we would probably have to sell the family home. I can’t tell you how much it affected me. Everything I knew had gone. I reverted back to the mindset of a child, and in some ways I still haven’t come to terms with the way that things have changed for us. It is a lot easier than it was at the beginning, but I still can’t pretend that I like the way things are. It is worse for me as I am still living at home, so was very much in the middle of it – and because they waited for my brother to go to university I went from always having company (I work from home) to very often being on my own. Sometimes the silence was deafening – I never understood that phrase until this happened. My message is, if you’re waiting until your children leave home before you divorce, please don’t, as it will affect them just as much – albeit in different ways and on a different level – than it would have done if they were children. Even though I am very, very much an adult now, and a long time has passed since the divorce, this doesn’t mean that I don’t still wish I had the family that I grew up with – that I so wrongly thought was for keeps. This is, indeed, sad to read… particularly Gemma’s post. My husband and I have been married for 45+ years but I can not pretend we have had this ongoing wonderful marriage, or even that it is without any conflicts and irritations right now. About fifteen years ago I was driving somewhere and listened to a marriage counseling couple on the car radio talking about how if you can ‘hang in’ for at least 35 years, then you will find that your desire to separate will pretty much evaporate. I would have to say that that is true, or at least for us. While we still have prominent differences, we are bonded for life. I believe we appreciate each other more than we did twenty years ago. And, yes, having grandkids really cemented us together. I appreciate my parents for staying together in a really complicated and pretty miserable marriage (my dad was a workaholic-alcoholic and my mom had various mental health issues). Strangely, they loved each other. My mom died about 8 years before my dad did. During the last few years of her life my dad looked after her, and when she was placed in a nursing home, he visited her for most the of the day, every day, for two years. All the fight had gone out of their relationship by that time, and they were very affectionate together. I think it helped that my mom was on medication. My point is that, from what I observe, there are several times when people come apart as a couple and it does not look to me like they gain the happiness and whatever else they feel they are lacking– it might be better to just stay in the marriage and make the best of it. As I type that I know that it sounds pretty merciless. Marriage has lost its appeal in our society. Younger people are deciding not to marry at all. Older people are wondering what they are missing out on by being in a marriage that is not meeting their needs. The problem is that no one person can meet our needs. Once the kids grow up and move out it is time for changes, but I don’t think divorce should be one of them. It is time to take a class at the local college, start a ministry, start a new hobby, travel, make a blog, or some other activity that could not be pursued with the kids at home. A lot of people find themselves at a very uncomfortable place at this time of life with such a drastic change. But usually divorce only leads to being more uncomfortable and can still have lasting negative affects on the children that you worked so hard to try to protect for all those years. Whеthеr yоur сhildrеn аrе 5, 15 оr 25, thеy shоuld bе соnsidеrеd аs yоu nаvigаtе yоur divоrсе prосеss. Fоr thе mоst pаrt, whеn divоrсing оvеr 50, сhildrеn аrе оldеr, typiсаlly in thеir tееn yеаrs оr lаtеr. Thеrе is а lоt оf еmphаsis оn thе сhildrеn whеn thеy аrе yоungеr, but dоn’t аssumе yоu саn nеglесt thеm whеn divоrсing lаtеr in lifе. Yоu mаy сhооsе tо еnd yоur rоlе аs husbаnd оr wifе, but yоur rоlе аs mоthеr оr fаthеr dоеs nоt еnd with thе signing оf thе divоrсе dесrее. Hаndling yоur divоrсе prосеss with yоur сhildrеn in mind prоvidеs оppоrtunitiеs tо shаrе in thеir livеs withоut thе tеnsiоn сrеаtеd in а “sеlfish” divоrсе. Divorce cases for couples over 50 years are on the rise. After withstanding relationship pressures like finance, infidelity, emotional and such other challenges during the early years, these couples are finding it hard to hold on to the marriage at this age. The marriage does not just blow up like a time bomb. It usually goes into a downward trend over the years and they finally succumb to lost love and the couple can no longer cope. A few years back, couples at this age had a feeling that it was not worth divorcing since they thought they just have a few more years to live. However, with the current trend, most people are living longer, on average, up to 70 years. Any unhappy couple is thus unable to cope with a strenuous relationship full of frustration as they can envision over 20 years still ahead of them. They feel that any stress factor will lessen their lives. To solve this situation, communicate and engage with your partner fully to ensure you are both fulfilling each other needs without duress from an early age. If serious problems arise, I recommend seeking help from marriage experts before things fall apart. It saddens me to hear that couples over 50 are waiting to divorce once the children are older. To me, this shows that there were unresolved issues during the marriage that wasn’t worked out. That’s why I think it’s so important to be friends, deal with issues and spend quality time together as a couple. I have seen couples so involve with their kids that they had no time for each other. By the time the kids leave, there is nothing left. They are like complete strangers. This is a very good article. I am 55 and got divorced at 53 and had been married for 22 years and my husband left me because I had lung caner . From my personal perspective, the best action to initiate is to select a simple solution to this devastating conflict. Firstly, if a person plan on staying committed to a loved one for an extended period of time, they have to create solid motives for them to create a successful marriage that is long-term. An example of a short-term motive is a child. Even though your lives will be intertwined forever, the will to keep all of the key components that are natural necessities for a healthy relationship, including communication and passion, will become nonexistent. Therefore, the motive needs to be long-term. An example of a long-term purpose is love. If someone genuinely loves another person, they will strive to become one, work out their differences, and enjoy being in their presence regardless of the trials they are going through. In conclusion, people should marry someone that they care about and plan on being with for an eternity because they love them instead of things that won’t be there forever such as children or money.